I suppose I shouldn’t be surprised that here in the middle of California Spring would start a little earlier than it does in Pullman, or Seattle. 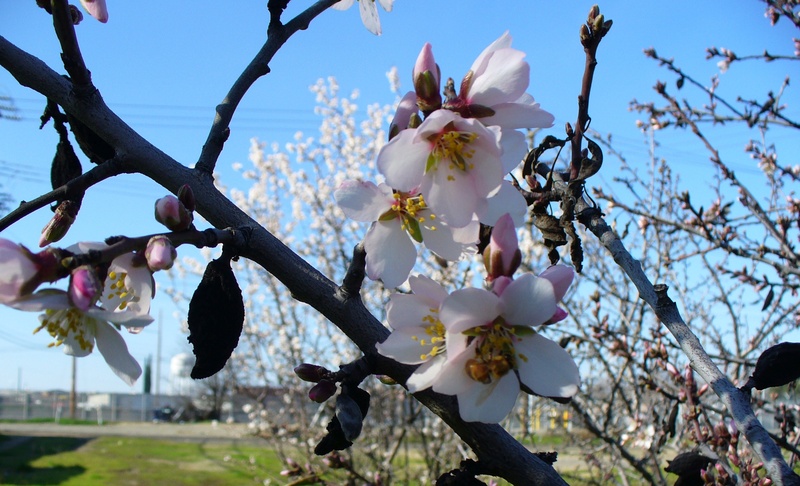 But this is the beginning of February, and the fruit trees are blooming and it’s over 70 degrees outside, and I am a little bit surprised. On top of that, today is “Museum Day” in Sacramento. (I’ve never heard of anything like that before!) On Museum Day many museums in this area forego their usual admission price and just let anyone who walks in look at their exhibits. Well, I thought I’d take advantage of this day, so I decided to go back to the Aerospace Museum of California out near the old McClellan Air Force Base, which I visited when I was here last summer. It’s not my favorite museum, but there’s lots of cool planes there, I used to be into model planes, and I like to collect photos of planes, so it seemed like an ideal opportunity for me. It’s also not too far from where I am living, so I could ride my bicycle out to it. I was a little surprised, also, that so many others also took advantage of this day. The place was very crowded. Outside in the “yard” there was almost a festival, or carnival, atmosphere. Kids waiting to look into plane cockpits, or sitting eating “Hawaiian Ice” or asking their parents questions about these huge machines. I got lots of photos. 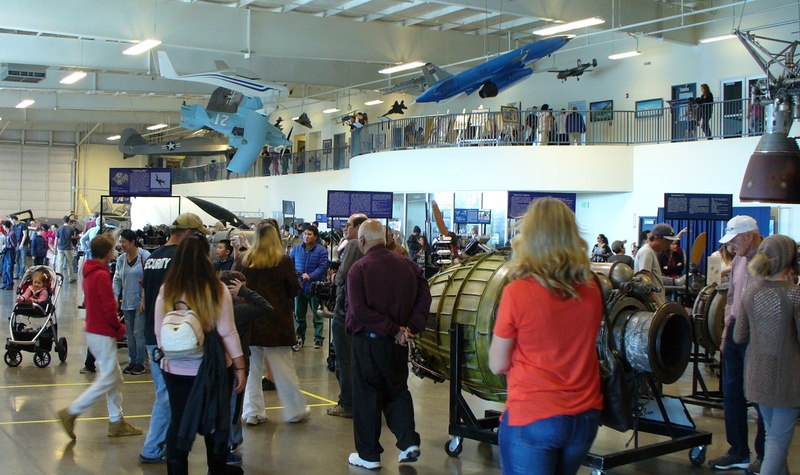 If you are actually interested in plane engines (they have a ton of plane engines), planes, jets, flight trainers, cockpit instrumentation or similar, this is a great museum to visit. I suggest you wait for a more normal day, though, and go ahead and pay the $15 admission. I personally find the excitement in advanced weapons delivery systems a bit disturbing. It is similar to our fascination with action movies and in general lives filled with tragedy. That this is par for the course on this planet should be understood by now (if not very understandable), but I am glad to know, from a personal point of view, that it is more understandable now than it once was. Here’s an image that seems to convey the spirit of this Museum Day here in Sacramento. 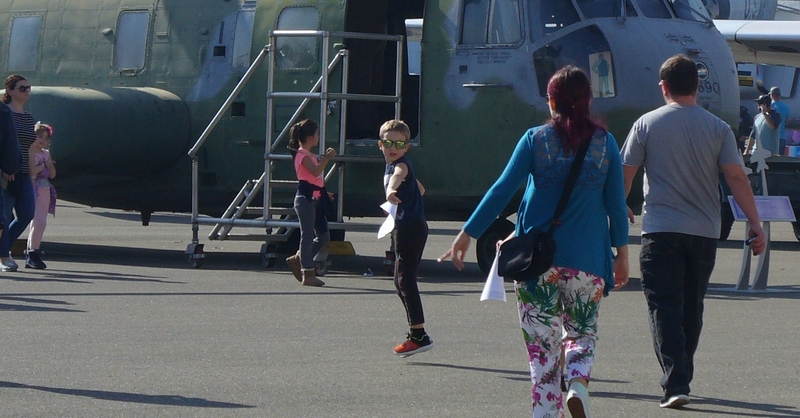 I shot a picture of a helicopter I had toured, and when I reviewed my photos I found this image of a boy jumping in excitement. Per his shadow, both his feet are in the air in this image. I don’t know about you, but sometimes I dream of lifting off the ground and just flying around wherever I want to go with my feet just a few inches off the surface. So this image has a little magic in it, as far as I’m concerned. The bees were out today, too. A good sign. A happy bee makes a happy life. I want this blog to be helpful to the reader. Even if you are not here to find out a little about electronics, web design, or whatever. Thus I have added Pages to provide you with content that can be updated but is always there. Comments are encouraged, but they are moderated, which means that they don’t appear as comments until I approve them. I really would like to hear from you. What does Spirit have to do with it?